Mars One, a one-way trip to Mars funded by advertising and sponsorship from a global reality TV show, sounds like fiction. But Dutch founder Bas Lansdorp assured Business Insider that the ambitious plan is not a hoax, despite the skepticism the project has faced since it was first announced last year. Just two weeks after Mars One announced the opening of the astronaut selection program, 78,000 people have already applied for the trip, a response that surprised Lansdorp, the entrepreneur told us in a phone interview. It’s a $38 fee to apply, and in addition to filling out several online forms, participants must make a short video describing their sense of humor and, more importantly, why they want to live on Mars. So far the organization has had applicants from over 120 countries, including 17,324 from the United States and 10,241 from China. If you’re wondering who these people are, you can view some of their application videos on the the Mars One website. Business Insider editor Dina Spector is among those who applied. We reached out to Lansdorp to talk about the application process. If you’re interested in applying yourself, read the requirements here and apply at the Mars One website here. 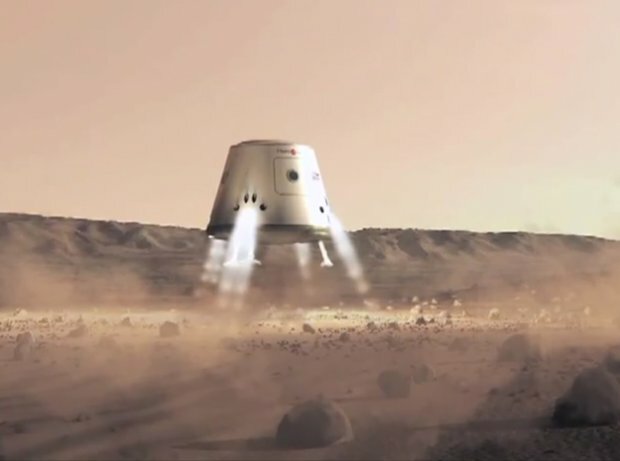 Business Insider: I saw the press release yesterday about 78,000 people applying for the Mars One mission. Is that number still accurate? Bas Lansdorp: Our website is built by an external supplier. And they haven’t implemented a very good database for keeping track of the data. This is the number from last Friday. BI: So it’s presumably more? BL: Well it’s certainly not less. But we can still see applications coming in, but we can’t keep track of the number except through the database. BI: Have you been surprised at the response? BL: We expected a lot of reactions, because we were getting a lot of emails from people that said they were interested before we even put up the application. We expected it to be a rather slow start. By putting up the application videos of people who finished the application online, it gained attention and interest around the world and we got a lot more applications. The fact that we are already at such a significant level in just two weeks time surprised us positively. BI: What about the videos or the nature of the applicants? Did anything about the videos or the applicants surprise you? BL: It’s men and women, people from all over the world, from 20 different countries. Very broad range, very different backgrounds. Engineers, PhDs, people who were in the army. BI: Are you refusing applications from various people? BL: We are not refusing people on the basis of their application, to put them online. There will be a selection process which will finish by the end of September. But what we don’t allow is people who have insulting language, inappropriate images, or advertisement. Anyone who applies and doesn’t offend people, they will find their application online. But the people who make their profile private, you can’t see them online. BI: One thing I noticed was that you can browse videos by popularity. If someone is very popular, will they be an attractive candidate to you? Is that something that will play into your process? BL: In a very narrow way, yes. Our first selection will be purely on their application. We will look at the popularity or number of views, but it’s very easy to cheat on popularity or number of views. So it’s not something we can really use. We will make our first selection based on the initial information that you cannot see online – their resume, their work experience, their education, and of course the video, and the questionnaire that they fill out online. These will be the basis of determining whether they go to round number two or not. But if we’re excluding people with high popularity, we’ll take a second look, but that’s the most they can get out of high popularity. BI: Do you worry at all that some of the candidates who have uploaded videos might be leaving themselves open to being mocked by other websites or something like that? BL: This is certainly something people should think about before they put their video online. We get quite a lot of requests from journalists to see if they can interview the applicants. We first call the applicant and ask him we had interest from journalists to interview you, and we talk a bit with this person. But such media appearances can result in a lot of publicity. But if they find they’re getting negative feedback, they can always make their profile private and take it off the public part of our website. BI: You said one of the things you were looking for is mental strength. So you’re looking for candidates who are very resilient mentally – is that something you’re looking for at this stage in the application process? BL: Yes. It’s something that’s really difficult to determine soundly, but especially with the questionnaire, we can learn things from that. It’s still one of the most important. Of course they have to be smart, they have to be healthy. But the mental aspects of leaving earth behind forever are, in my opinion, the most challenging part of the Mars One project. The application procedure will close the 31st of August, but we could get 100,000 applications in the last week, and it might take one or two months review all of those applications. So people will hear whether they pass into the second round after August 31st. BL: The applicants that are selected to go through will meet with a selection committee in their region – for example, 52 places in the U.S. and a lot of places in China, only one in Holland because it’s a small country. In those meetings, we will interview the people in round 2. They will also have to submit a statement of good health. So they will get a form that their physician has to review. We don’t want to receive their medical records, because there are a lot of privacy issues associated with that, but we want a declaration of good health from their physician. Then they will be interviewed on the basis of their interview and additional information, the health, and additional research we will do on the applicants. And we will determine who will pass to round number 3. Then we expect we’ll have a very good selection of people who are qualified or not. We’re pretty confident that the people who are in round number three have the right stuff, so to say. In round number three, because there are only people with the right stuff, we can allow the audience to really influence the selection process. It will be the start of national selection campaigns, where the audience can vote for their favorite applicant in a T.V. series. Probably not in all countries, there will be other methods in other countries, but there will be a number of countries where it will be a T.V. series. People can vote for their favorite male and female applicants, and the winners of the national selection — one man and one woman — will go to the international rounds. Besides those two winners, we will also select a number of people who did not win but are still very good, particularly from the larger countries, which should have a larger representation. In the international rounds, our experts together with the applicants will divide the individuals up into teams, there will be about 50 teams of four people, which will be narrowed down to six teams of four people, who will train full-time for the Mars One mission. So they will become full-time employees of Mars One. Including three months per year in a copy of Mars outpost here on earth to really feel like what it’s going to be like on Mars. Besides that, every year after that we’ll have additional selection procedures because people will drop out of the program, people who feel they are not qualified, or we feel they are not qualified, or maybe somebody gets ill. These people will be replaced by groups in sequential selection rounds which we will do every year, also because from 2022, we will send a new team to Mars every two years. And they will also have to be replaced by new candidates. And then in 2022, a few weeks before departure, our experts will determine which of the groups have finished their training and are ready to go to Mars, maybe 3-5 groups. From these groups that are all ready to go to Mars, we’ll ask the audience which of these do you want to be your ambassadors to Mars. In the end, it will not be Mars One who determines who goes, it will be the world population which determines who will be their ambassadors to the red planet. BL: We’re still preparing the new contracts with suppliers, we’ll close those contracts in early June. And financially you know about the investments that we received in February, there’s no news on that front. You probably heard University of Trenton became our science and education partner. There’s no big news that we can share now. BI: If you had to give a percentage, how close are you to meeting your funding goals? BL: We have funding for everything we need to do in 2013, so that gives us the confidence we need to work on longer term finance and technology issues. But 2013 is only a small percentage of what we’ll need. Why Are People Applying to Go to Mars and Never Come Back?